French country living at its best! "A great house in a beautiful location. Our two weeks here has positively flown and there are still a million things we wished we had time for. We'll just have to come back!" This restored barn can sleep up to six with open plan living spaces on the ground floor and two ensuite bedrooms upstairs. The kitchen is fully equipped with stunning views over the swimming pool and beyond to the valley. The lounge connects through double doors onto the barbecue and dining area. The two bedrooms are furnished, each with en-suite bathrooms. The property also has a large entrance space that can sleep two additional house guests on a double day bed. 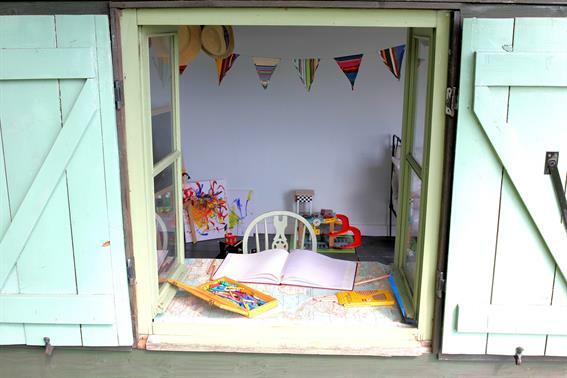 In the grounds is Cowslip cabin, a separate cabin perfect if you want to play,paint or write. Throughout the property is a gorgeous selection of large and small wooden toys to help your children make the most of their holiday! The lounge is a great place to relax out of the sun, with a wide selection of books to browse and a separate play/snug area for the children. The property has two bedrooms both with en-suite bathrooms. The master bedroom has a king size bed and ensuite bathroom equipped with walk in shower, bath, sink and toilet. A wooden cot can be made available in this room or alternatively there is sufficient space on the upstairs mezzanie outside this room. The second double bedroom can be arranged with either a kingsize bed or twin beds. This ensuite bathroom has a bath, sink and toilet. Please note the property is 500 yards from a dairy farm which means the cows can sometimes be in the neighbouring fields. See our Why Loaf? page for a full list of all the child friendly equipment at each of our properties and a list of Extra Services we can help you arrange. Our rental weeks run from Saturday to Saturday. For any dates outside of those above please contact us for prices and availability. 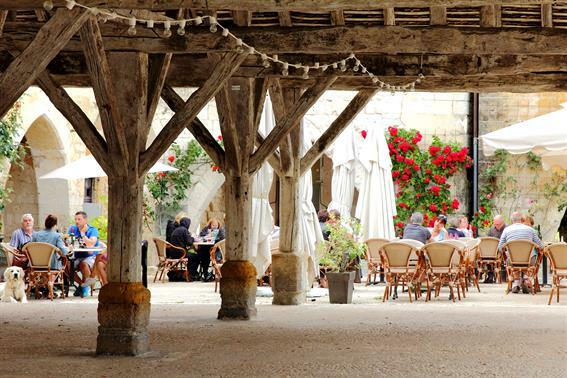 "A sleeping baby and a long lazy lunch under the umbrella at Beauclerc - does life get any better? Thank you Emma and team in making a creating such a wonderful retreat, and for all the extras that make it so special - the farmyard playpen was a firm favourite." "We have had an amazing 2 weeks and feel very lucky to have found such a glorious spot. our 3 children have had an amazing time. Plenty to keep our 8 and 6 year old occupied and enough baby bits to keep our 10month old happy! We have enjoyed some good days out @ chateaunaud chapelle, grolejac, the caves just outside Gourdon, dino post and market market as well as lots of days chilling at Beauclerc. Lots of great memories have been created!! Thank you Emma and team for your attention to detail and for creating something special!" Saint Germain-du-Bel-Air is a fair-sized village in the Lot, north of Cahors and south of Gourdon. Market days are busy and the main street includes a bank along with the normal shops and some good cafes. 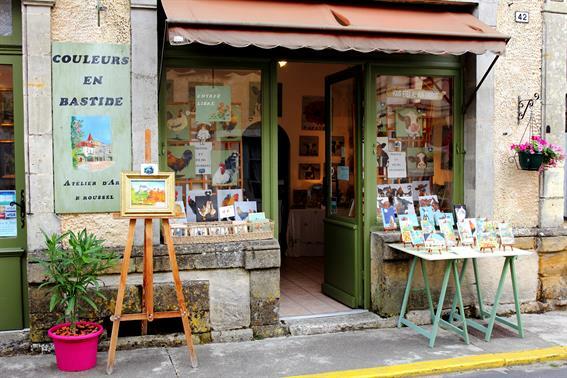 Catus is only a 15-minute drive from Beauclerc and has some good shops including a small supermarket, butcher, post office, bread shop, tabac/bar, restaurant and tourist information office. Market day is every Tuesday morning and a short distance from the village is Lac Vert, a leisure lake with a large, sunbathing lawn and a small beach with a children’s bathing area. There are bigger supermarkets and shops in Cahors and Prayssac, both of which are about 20 minutes’ drive away. Encircled by the natural defences of the Lot river, the chief town of rural Quercy is a major wine centre. Its landmark site is the Pont Valentre, a fortified bridge with seven pointed arches spanning the river. It’s a cosmopolitan town famous for its Wednesday and Saturday morning market, dark heady wine, cafes, shops, truffle centre and Cathedral de St-Etienne. Trips are around 1.5 hours and run along the river to see Old Cahor. There is an ice-cream shop next to the boat and the trip is fun and not too long. Mid June to Mid September 11am, 3pm, 4.30pm and 6pm. This stunning famous medieval village literally hangs off a cliff and features a shrine to a Saint.